I find the cover to be a bit bland for the story. The book would undoubtedly gain much more attention with a more interesting cover that fits the theme and plot of the story a bit better. Perhaps you could also add your name or username onto the cover to make it appear more professional. I love the title, and it sounds quite poetic and original. 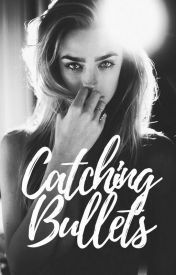 I don&apos;t entirely understand the meaning of "Catching Bullets," but I view it as a metaphor for catching feelings for a "bad boy" (Based on what I have read so far). Chapter 1: "...just so they going out to buy the latest..." Here, the words "they" and "going" don&apos;t work together. Perhaps you could change the sentence to "...just so they can go out to buy the latest..."
Chapter 1: "I also hate the way they took up so much space." As the story seems to be written in present tense, be sure to change the word "took" into its present form. Chapter 2: "&apos;Its almost as big as your ego,&apos; I almost say" When you write thoughts, be sure to italicize them so that your readers do not get confused between what the characters say and what they think. Additionally, the word "its" should be changed to "it&apos;s," as in "it is." Chapter 3: "...I can&apos;t run my hands through my it for comfort." The word "my" does not need to be included in the sentence a second time. Chapter 3: "Especially since I&apos;d never ran into you once before today." The word "ran" should be changed to "ran" to match the tense of the story. Chapter 3: "When he responds with a simple &apos;what&apos; but I turn around and walk into the other direction." Here, the words "when" and "but" don&apos;t flow properly with the way that they&apos;re written. You could change the sentence to "Then he responds with..." or "When he responds with a simple &apos;what,&apos; I turn around and walk into the other direction." Chapter 4: "So when I head to school, my stomach is content for having ate." Here, the word "ate" should be changed to "eaten" in order to fit the tense. Chapter 7: "Detention is an hour after school in a classroom where the teacher sits on their phone watching their kids sit there on their phones." The noun "the teacher" is singular, and you referred to it as "their." To fix this, you could change the words from "their" to "his/her." Chapter 11: "I applaud those girls who have the effort to make an effort to dress up..." Here the word "effort" is used twice, which makes the sentence seem rather dull and limited. Perhaps you could write "I applaud those girls who have the patience to make an effort to dress up..."
Chapter 11: "...to make sure that the shirt does not fall of..." I assume that you meant to write "off" instead of "of." I noticed quite a few more mistakes in Chapter 11 (repeating words, run-ons, rambling sentences, etc. ), so I suggest that you go back through and reread the section, keeping an eye out for anything that doesn&apos;t sound right. Chapter 12: "Gracie and I took had called someone to drive us..." Remove the word "took," as it does not fit with the rest of the sentence. Chapter 12: The first paragraph transitions from past tense into present tense. Be sure to keep it consistent throughout your story. Chapter 13: "...the movies are oftentimes are not what it actually is in real life." You used the word "are" twice in the sentence to describe the same thing. Be sure to remove one of them. 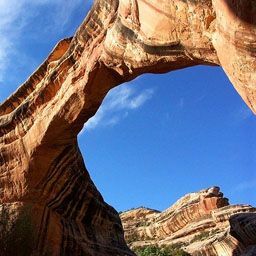 Chapter 15: The formatting as a whole is different from the previous chapters, so be sure to keep this consistent as you write. Despite how the writing changes, the story&apos;s pace picks up around Chapter 13, and it held my attention through the rest of the story. 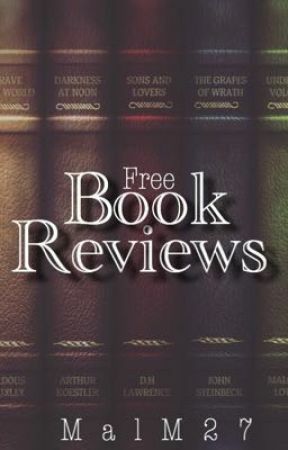 I wasn&apos;t expecting the twists and suspense that began, so I was pleasantly surprised by the sudden turns in the story! One area that you could clear up is in Chapter 10 when it seemed that Carter was having a conversation with Jackson, and then you said "Collin then spins on his heel, and walks out the door." Who is Collin? Was Carter actually talking to somebody else when the audience assumed that it was Jackson? This section also lacked some explanations, as Carter began speaking as "Collin" left the room, yet the boy in front of her was still there. Did you mean to explain that Collin was a separate person who left the room as Carter and Jackson were speaking? Or did Jackson stop and turn around to continue his conversation with Carter? This area as a whole could be clarified, as the audience has a very hard time making the connection. As I continued reading, I also became much more confused about the characters and who they were. In the beginning of the story, it is mentioned that the main character&apos;s name is Carter, but in Chapter 12, she introduces herself as Sarah. Does the point-of-view change from one character to another during the story? If so, this needs to be clarified, as well as the names of the characters. I find the character&apos;s voice to work very nicely with the story. The narrative way that the main character&apos;s thoughts are described compliments the theme and the plot. It works quite well with the intended cliché storyline! The plot is very enjoyable specifically because you embraced a cliché topic and developed it into an entertaining teen story. Most people claim that they hate cliché stories, but they&apos;re truly quite enjoyable if they are written nicely with interesting and mysterious characters. I also love the names that are added to the chapters. They provide a humorous/intense addition to the story and they briefly outline what the chapters are about. I also must mention Chapter 7 where you wrote "The second is no eating in class. That includes gum, liquor, and anything else that goes in your mouth--to digest, I mean." I laughed out loud while reading this section, and I absolutely love how you strung some subtle jokes into your writing! The characters are nicely developed, especially since the story is written in a narrative first-person viewpoint. The characters are clearly described, and their attitudes match their thought processes. Originally, I expected Carter to secretly hate "bad boys" but to be friendly to them in person. I was surprised when she acted exactly as she felt, and it added a bit of tension and suspense. The suspense is also created through small encounters that have the audience begging for more. The chapters are quite short (very Wattpad friendly) and the events are never overdone. They contain the perfect amount of information, and the audience rarely gets bored. However, some chapters are a bit unnecessary. For example, Chapter 4 simply goes over Carter&apos;s morning routine. This section doesn&apos;t have much to do with the story as a whole, so I feel that it would be more interesting if you added the information into the following chapter. I also found that Chapter 6 was unnecessary. These sections seem as if you&apos;re just trying to pass the time and fill some pages. Although they are entertaining, they seem a bit pointless and they would be more effective if they were strung in with other important events. Overall, I really loved reading your story! The characters and the plot worked perfectly together and the viewpoint and narrative writing was quite unique!